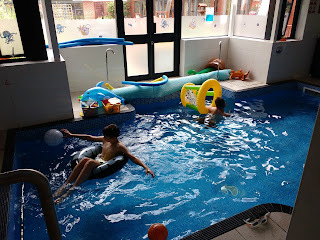 Ed has a six week slot in the hydrotherapy pool at Derian House so me and Luke went with him this week for a swim. It is a lovely pool with lots of room for Ed to get changed and has been built for children with disabilities. We could leave his wheelchair at the side of the pool which meant we didn't need to carry him to the water. Ed loves being in the water but taking him to a normal pool is just too hard work and once he gets in the water he gets cold very quickly. 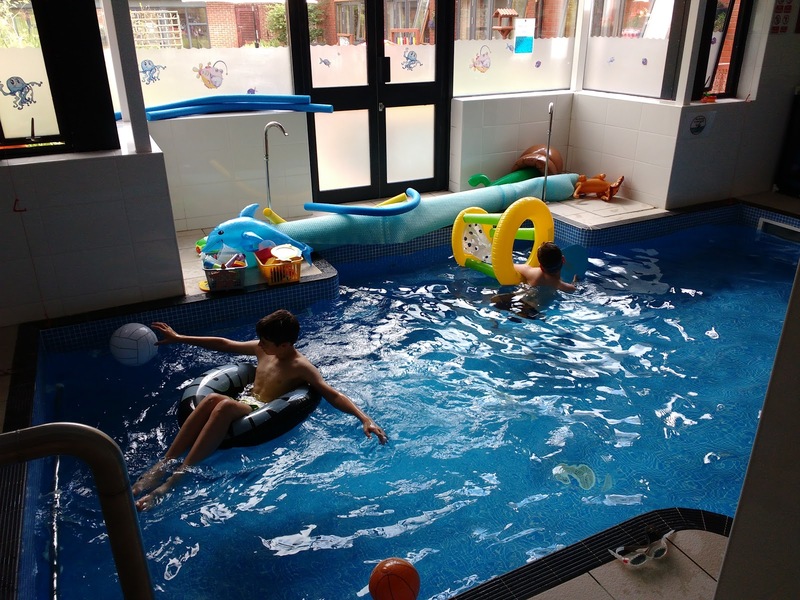 At Derian House the changing facilities are next to the pool and the water is lovely and warm so he doesn't get cold. 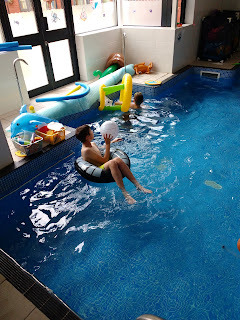 There are plenty of toys to play with and our hour soon went, it was difficult persuading the boys to come out but the promise of lunch out finally helped!